David Shulkin will be the first non-veteran head of Veteran Affairs after a unanimous Senate confirmation. He has served in the post for the past 18 months and is Trump's only nominee who is a holdover from the Obama administration. 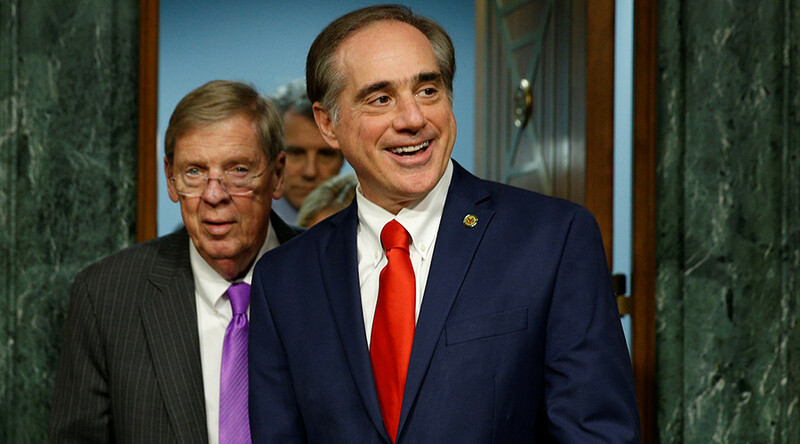 Shulkin’s appointment on Monday followed a plea from the Senate Veterans’ Affairs commission for all members to set aside any partisanship. His appointment was one of the smoothest in Cabinet proceedings and has been seen by some as a sign that Trump is not looking to privatize the VA, the Washington Post reported. With a background in internal medicine but not the military, Shulkin was not the most obvious choice for the position. However, his main concerns are largely related to staffing issues and the 45,000 open positions reported by the Post. What makes this even more difficult is the hiring freeze of federal employees placed by Trump in late January. While the freeze was said to not impact the hiring of doctors and medical staff, many VA staffers were confused and unsure of how to proceed, according to the New York Times. Shulkin will also have to handle the lack of facilities and scandals that have plagued the agency since 2015 along with excessively long waiting times to be seen by doctors.